In this article, we take a closer look at some of the players that have the potential to be top quality players in the future. I have tried to avoid the more commonly mentioned players as everybody already knows about them. The likes of Jack Wilshere, Romelu Lukaku and Josh McEachran have already been discussed to death in the press, whereas hopefully some of the following players will be new to people. 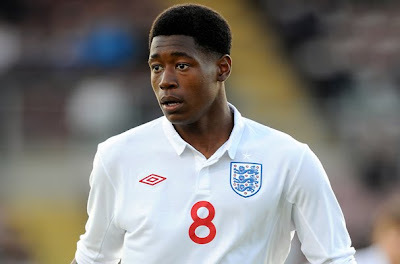 Chuks Aneke is considerd to be one of the best players in the Arsenal youth academy. Neil Banfield, the head of Arsenal reserves, claimed that he had already reached technical perfection at the age of only 14. He provides the creative spark in the reserve side that scored at will last season and at 1.91m tall, he is an imposing presence in the midfield. He has already played for England at U16, U17 and U18 level, and it would be no real surprise to see him continue to progress through the levels and one would expect to see him maybe making his full debut in the Carling Cup next season. 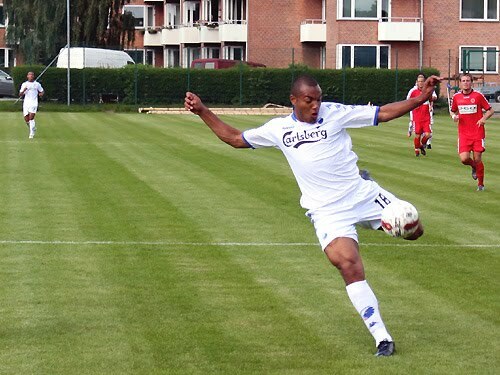 The Danish striker made his debut at only 16 years and 35 days old, making him the youngest player in the history of the Danish top flight. With trials at both Chelsea and Inter Milan already, he looks to have a promising future in the game. Aged only 17, he is already over six foot tall and a strong physical presence. With nine goals in 13 matches for the Danish U17 side, he has already shown that he has a knack of scoring goals and he plays well in the target man role, creating space and chance for others. He scored his first senior goal recently against Lyngby Boldklub, making him the second youngster scorer in the Danish top flight and his appearance against Barcelona in the Champions League made him the third youngest player in that tournament. He has admitted that his dream is to play for Chelsea and if he continues his current progress, it would hardly be surprising if he ultimately reaches his goal. Already described as the next Thierry Henry, the young Dutchman has been on the rise for a couple of years. Joint top-scorer at the European U17 Championships in 2009, he made his debut for Feyernoord this season and has already grabbed nine goals in his first 24 games to add to his 22 goals in 31 games at U17 and U19 level for the Netherlands. Despite being over six foot tall, he has electric pace and is a natural finisher meaning that he has all the attributes to become a world class striker. Already linked with most of the big European clubs, he has announced that he will move to Inter Milan in the summer, where he will hope to continue his development. Eric Lamela is one of the most promising players to have come through the famous River Plate youth academy in recent years. Despite only being 18-years old, it was six years ago that River Plate had to fend off approaches from Spanish giants, Barcelona. They reportedly offered to pay Lamela’s family over €100k per year to move the 12-year old to Spain. He made his debut for River Plate late last year, but the Argentinean club have already had to reject a €12m offer from AC Milan, demanding at least €25m for the youngster. He usually plays as an attacking midfielder or winger and has drawn great praise for his dribbling skills as well as his ability to score from distance. Furthermore, he is the first choice set piece taker, despite being only 18-years old. As far as weaknesses go, he lacks that extra yard of pace and needs to work on his aerial ability, but these will come with age and further training. Despite his tender age, he is already one of the most talented players in South America, and despite his pledge to remain at River Plate until he has won a major trophy, his resolve will undoubtedly be tested as the giants of European football come knocking. 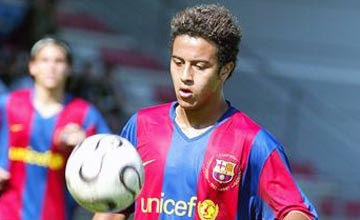 The young midfielder is considered to be the best player at Barcelona’s famous La Masia youth academy, and the natural heir to Xavi. Still only 19 years old, he has made eight appearances for the Barcelona first team and scored his first goal last season against Racing Santander. He has been described as Spain’s biggest talent by Fernando Hierro. He has all the attributes that you would expect from a Brazilian at Barcelona – great vision, a wonderful range of passing and an eye for a goal. If he lives up to the hype, he will become one of the world’s very top midfielders and will slot perfectly into the centre of the Barcelona midfield. The young Colombian midfielder has proved that he is a real talent with seven goals in seven games at the South American U17 Championships in 2009. He has also impressed in this season’s U20 Sudamericano for his club where he has notched up four goals in six games – an impressive tally for a midfielder. Like many South Americans, he enjoys running at players with the ball, but also has an excellent eye for a pass and is the set piece expert for both club and country. In an underperforming international side at U20 level, he is proving the standout star, even in the match against the impressive Brazilians. It would be no surprise to see him promoted to the full international side before long, and a move to Europe may not be much further away. The younger brother of Birmingham midfielder, Craig Gardner, Gary was the star of the Aston Villa academy until his development suffered a setback when he tore his ACL last year. He has recently returned and played a starring role in the 10-1 victory against Arsenal reserves. It was also revealed that Rafa Benitez tried to take him to Inter Milan over the summer. Closely compared in style and ability to Jack Wilshere, the two have played together at the heart of the midfield through all the youth ranks for England and it is surely only a matter of time until they link up again at senior level. 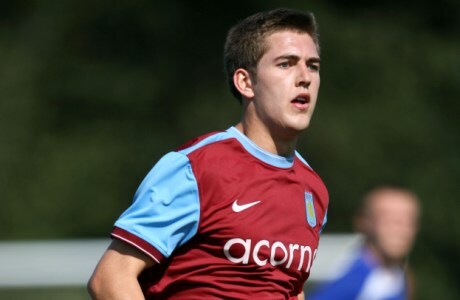 He is expected to make his debut for Villa next season once he has fully recovered from his injury and is certainly a player to watch closely. 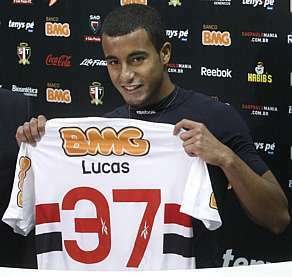 The young attacking midfielder only made his debut for Sao Paulo last season, but by the end of the year, he had established himself as one of the first names on the team sheet. He picked up four goals and four assists in his 22 matches last season and was one of the star players at the South American U20 Championships earlier this year. He loves to have the ball at his feet and run at defenders, whilst he also has great composure in front of goal. He has already caught the attention of Europe’s elite and it would be no real surprise to see him making the move to one of the big clubs in the coming years. The young Argentinean has already been compared to both Lionel Messi and Cristiano Ronaldo at the age of only 17. 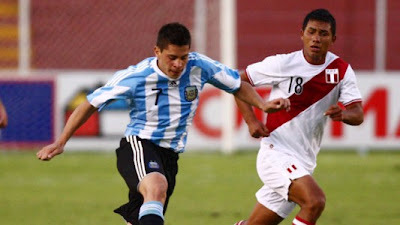 He has made seven appearances for Paraguayan club, Cerro Porteno, but has already agreed a deal to move to Porto on his 18th birthday in June with rumours that it may be a stepping stone on the path to replacing Ryan Giggs at Manchester United. The winger was one of the stars of the South American U20 Championships earlier this year and appears to be very comfortable with the ball at his feet and has an eye for a pass. Whether he can live up to the high expectations remains to be seen, but the move to Portugal should be the first step on his rise to the top. 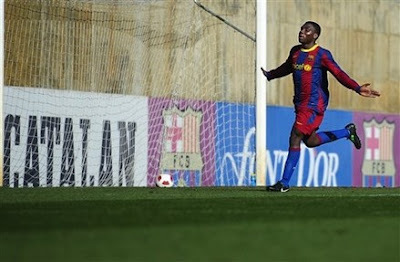 The young Cameroon striker has been rapidly progressing through the Barcelona youth system. At only 15-years old, he has become the first player since Lionel Messi to represent Barcelona in three different age groups this season and is regularly playing against players three years older than himself. He is lightning fast, powerful and a natural finisher and looks to be the next great hope of Cameroonian football. He has already scored well over 100 goals in the past couple of years at youth level and hit a stunning 20 goals in 14 days last month in the matches that he played in. Whether he can continue his progression remains to be seen, but he has an excellent opportunity at one of the best clubs on the planet.